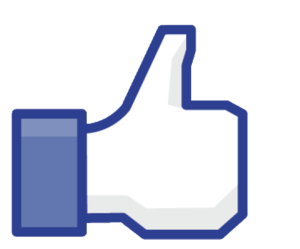 Facebook Tips and Tricks – How to Grow Your Facebook Following FAST! If you are searching for Facebook tips and tricks that will allow you the unique ability to grow your Facebook following fast, you are not alone. By conducting a simple Google search on the keyword phrase, “Facebook Tips and Tricks”, you will find that just over 120,000,000 million search results are returned in just over 30 seconds. While many of these search results are geared towards Facebook users that simply want to learn how to enhance the appearance of their pages or successfully engage in some type of Facebook tweak, other results are geared towards businesses that want to increase their business page followers on Facebook. In recent years, most searches done on Facebook tips and tricks have, in fact, been performed by businesses. On a social media platform that has over 1.39 billion active users each month, it is no wonder that more and more businesses are trying to find their place on the social media platform and have an interest in learning how to get those active users to their pages. In this guide, you will learn how to attract Facebook users to your business page so that you may make the most of your Facebook marketing endeavors. 890 Million Individuals Log Into Facebook in a Daily Basis, and This Number Continues to Grow…. Approximately 4.5 Billion “Likes” are Generated on a Daily Basis, and This Continues to Increase…. 1.9 Billion Facebook Users Access The Social Media Platform Through Mobile Devices…. The Most Common Ages on Facebook are Individuals from 25 to 34…. Each Second of Each Minute of Each Hour of Each Day a Total of Five PLUS Profiles Are Created…. 300 Million Pictures are Uploaded Daily on Facebook…. Nearly 500 Billion Pieces of Various Types of Content is Shared on Facebook, Daily…. Nearly 50% of all Internet Marketers Claim That Facebook is CRITICAL for the Overall Success of Their Business…. First, it is important to ensure that your business page is completely optimized. That is, it should contain a search engine optimized keyword or keyword phrase as the title, keywords and keyword phrases should be used in composing the description, and the content that you elect to post should be optimized. You should ensure that the Facebook Page that you create is linked from your website. You should then update your Facebook Page by adding posts from your website. In order to attract more users, be sure to add content to your business page from the Facebook Pages of others, or the websites and blogs created by other individuals and businesses. In order to increase the amount of fans that you have on your Facebook Page, be certain to post content that is interesting, funny, innovative, and highly relevant. Not only will your current followers enjoy the content, they will be more apt to share it, which will result in more “Likes”. Increase the openness and the disclosure associated with your business. Essentially, simply show what goes on in your company. Optimize the access of your business. That is, show availability for customers and fans that you attract and want to attract by providing ways for them to interest directly with your company. Ensure that you make the experiences of your customers highly enjoyable, exceptionally pleasant, and positive. Network with others within your niche. That is, show shared levels of interest with your followers, your fans, and other companies that specialize in the same types of products and/or services that you specialize. In order for your business to achieve a high level of success in the virtual world, you must have a successful Facebook Page. The Facebook marketing tips outlined in this guide will provide you with the competitive edge that is necessary to instantly increase your following. Given the vast amount of interactions that occur within this social media platform, there is a high potential for getting your “share” of the success that so many businesses, worldwide, currently experience. Simply follow the Facebook tips and tricks contained here to grow your Facebook following FAST! In the past decade, hashtags have gained quite a bit of attention on social media platforms such as Twitter, Facebook, Google+, Instagram, and Pinterest. A hashtag is a word or a phrase that lacks spacing that is prefixed with the unique hash character, which is nothing more than a number sign. The hashtag forms a label and is a special type of metadata tag that assists in organizing content, tracking discussions based on the keyword or keyword phrase used, and transforming the word or phrase into both a clickable and searchable link. If you are searching for social media tips that will assist you in attracting more attention and traffic, you will find that the use of hash tags is a positive and productive option when it comes to social media marketing campaigns. In this brief guide, you will learn the basic history of hash tags and how to use hash tags in order to attract the attention that you desire on the World Wide Web. In the earliest days of the hash tag, the social media symbol was only found on Twitter; however, since its original appearance, its use has extended to other social-based platforms. In the year of 2007, the developer named Chris Messina originally proposed in a tweet on the platform Twitter that the social media website start using hash tags in order to group topics. Initially, the idea was rejected. Later that year, during the month of October, citizen-based journalists that were covering forest fires occurring in San Diego started to tweet updates and utilized the has tag, “#SanDiegoFire”. Once this started, hash tagging immediately gained an immense amount of popularity. Now, internet users, businesses, organizations, and a wide array of other brands and industries utilize hash tags. If you want to attract more attention and want to increase your traffic, you should utilize hash tags, too! In reviewing social media tips, you will find that hash tags are exceptionally beneficial because of the true value that they possess. Once a hash tag is created is viewable by absolutely anyone that has an interest in the keyword or keyword phrase that is outlined in the hash tag. That means that internet users that are outside of your network have the capability of viewing the hash tag. The reach of the hash tags that are created is expanded to absolutely anyone that has an interest in the keyword or the keyword phrase utilized within the tag. Based on the two value points outlined here, you can clearly see that hash tags build value by expanding your reach and attracting internet users that are outside of your network. By using an editorial calendar, you have the potential to optimize your social media workflow – which is a very effective process for developing your brand, building relationships with your customers, and improving your overall success. In a world where social media platforms abound, it is imperative to utilize an editorial calendar to assist you in managing your content across those platforms. This is a type of advance content planning tool that will allow you to map out specifics for the content editors that are part of your team. When reviewing social media tips, you will find that many businesses use the editorial calendar for a wide range of tasks, including the integration of marketing goals, content marketing strategies, and delivering high-quality, relevant information to customers. The workflow allows all members of your content marketing team to understand the vision that your business has behind interacting on social media platforms. The workflow often involves assigning individual tasks to various individuals that are part of your content marketing team. The workflow will allow each person to know what their role is and how to execute the responsibilities of that role. Individual tasks will be assigned that will lead to the overall success of the group. Each individual that is part of your team will have a solid understanding of what they need to know to contribute positively to the company and when the tasks need to be completed. Most social media workflow tasks that implement the use of an editorial calendar offer a communication channel among all members of the team. An editorial calendar assists in optimizing each of the roles of the team so that it is self-contained, or able to manage itself. In order to effectively utilize an editorial calendar for social media workflow, it is best to have a team of – at least – five different individuals: the editor, the contributor, the designer, the proofreader, and the social media manager. Content marketing is considered to be a team “sport”, if you will. Regardless of whether you are working as an independent entrepreneur, or as a company, you must have more than one assistant when it comes to social media success. There are just too many tasks that need to be completed in a fast manner to engage on the endeavor all alone. If you would like to have assistance with your editorial calendar, your content, and your social media marketing endeavors, Brick Road Media is standing by to assist you. All content marketing strategies that are considered to be successful are, essentially, a form of ongoing communications that not only deliver useful and high-quality content, but, also focus on empathizing with customers. In order to make your content awesome, you must view each content object that you publish as a form of communication that promises your target audience with useful information that is relevant. You must not view each piece as just an “article” or a “blog”. You must place an emphasis on informing and inspiring your target audience. In doing so, you will create anticipation among your readers. According to those that have achieved a high level of success in their content marketing endeavors, there are few things and actions that are more powerful in attracting a following that is highly loyal than the anticipation of what will abound next. In this content marketing guide, you will be introduced to more than just blogging tips or article writing tips. You will be provided with the top and absolutely essential components to creating a growing and successful momentum of awesome content. In nearly all blogging tips and article marketing tips, you will discover information that expounds on the fact that your content must capture the attention of your reader. While this is a productive measure, it is more productive to ensure that you capture the attention of your TARGET AUDIENCE – that is, the group of people that you WANT to ATTRACT in order to achieve success in your niche. In the past few years, individuals that stumble across various types of content – blogs, articles, social media posts, images, and videos – have grown exceptionally discerning. Your target audience is looking for expert information, personal and professional experiences, and appeal in each blog that you create, each article that you write, each video that you post, and every presentation that you are responsible. First, you should focus on creating images that are unique and attractive. One of the best methods for succeeding in this task is to take imagery and use Canva.com in order to create innovative and appealing images that may be used in your content marketing endeavors. Second, you should consider combining different media types in order to attract and maintain the attention of your target audience. For example, if you create a blog or an article, you should consider adding YouTube videos or embedding your own videos to supplement the content. In addition to this, you may make use of infographics or tip-o-graphics in order to provide another medium for your target audience to consume, other than simply reading. Finally, you may want to consider firing up SoundCloud in order to record your voice and place that within your post or article. Throughout the history of the internet, all content marketers have been pushed to optimize their blogs and articles for search engines. While the use of keywords, keyword phrases, and even latent semantic indexing techniques are all still productive ways to ensure high rankings in major search engines, it is more important – these days – to optimize for readership and engagement, NOT for search engines. Search engines are nothing more than a complex program that reads in an unemotional manner. Your target audience, on the other hand, is a complex group of people that read emotionally and seek high-quality content. When it comes to blogging tips and article writing tips, you should place a focus on optimizing for readership and getting that readership to engage. For example, piece together content that is relevant to your readers. Then, embed Facebook, Google +, and other social media platforms on your post to optimize engagement. The next secret to creating absolutely awesome content and succeeding in your content marketing efforts is to optimize your content for conversion. Turn your target audience into email list subscribers, provide them with a free eBook, implement click-based pop-ups and toolbars so your target audience may instantly convert, provide links to other content on your website, and use exit pop-ups. Create articles and blogs with bold subheadings that assist in grabbing a reader’s attention. Be certain to use images throughout the piece to visually stimulate your target audience. Utilize bullet points, and even numbered lists, to section off your article and provide information quickly and precisely. Your target audience is fickle. Most skim-read, others channel-surf and nearly all move quickly. If you want to succeed in content marketing, you must be innovative. Different IS better when it comes to blogging and composing articles. Tell stories, display honesty, be a content persona, and become an expert in your niche. All of these actions will make you unique and highly appealing. Content marketing is the most productive means of achieving success on the web. In order to reap the rewards that you desire, you must create awesome content. By grabbing your target audiences’ attention, optimizing for readership and engagement, optimizing for conversion, using intelligent formatting, and being innovative, your content will be awesome!